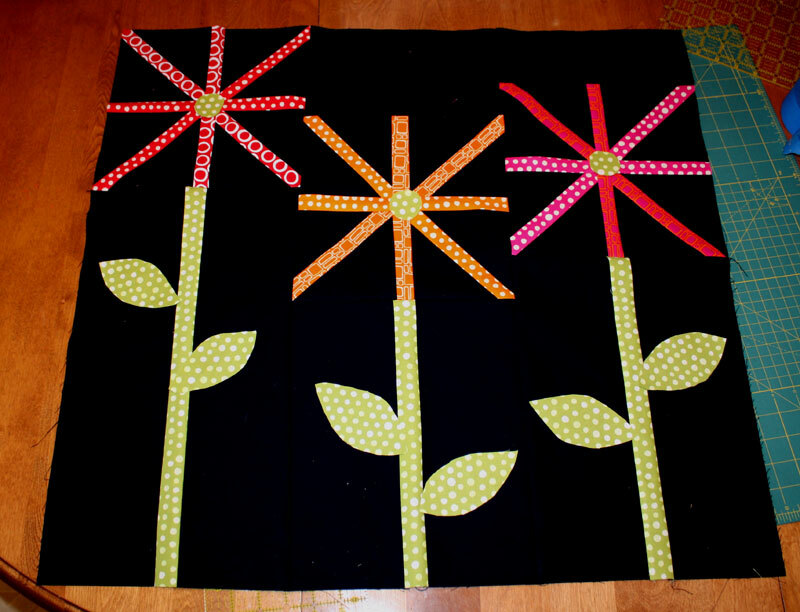 Hey… just wanted to show you all what I did with my left over strips from the fireworks blocks…. Forgive me, Sophie, I don’t know how to label this post. Very cute!d Thanks for sharing! Thanks for sharing this here. 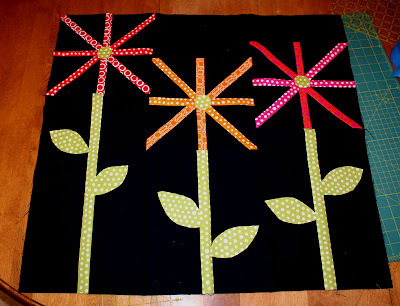 As I was just thinking about putting stems and leaves on our blocks to make flowers, of course, I love it.